I'll be honest, this is my first Flamenco guitar but I am extremely pleased with the outcome. 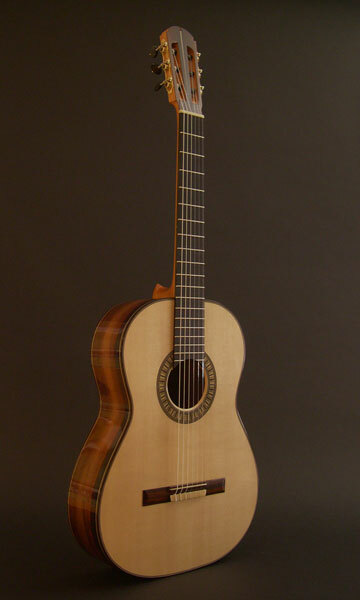 A Negra, or a Flamenco made with a dark rosewood vs. the lighter Cypress was a natural place to start for one who typically makes classical guitars. The soundboard is of master-grade European spruce with a newly designed rosette of Holly, Ebony and Boxwood . 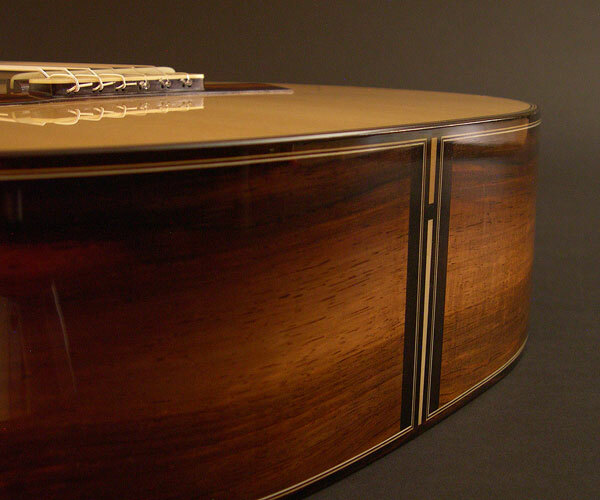 Back, sides and headstock veneers are constructed of extremely beautiful well-aged Brazilian rosewood. Bindings are Macassar ebony and a simple tapered line of Holly is featured at the back center stripe and headstock veneer. I opted to use unbleached bone on the tie block, saddle and nut to compliment the boxwood details. Understated Allesi tuning machines complete the package. 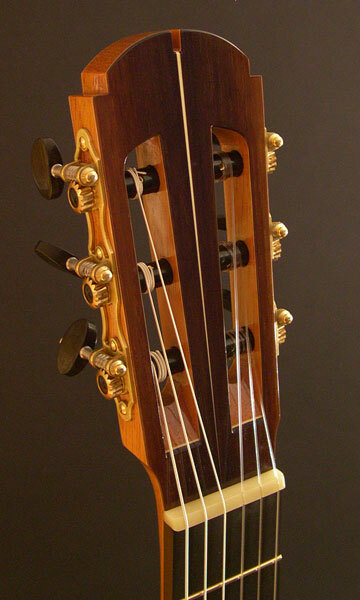 The sound quality is warm and round with slightly less sustain than my typical classicals but it does not have the "poppyness" of the traditional Flamenco Blancos. There seems to be many opinions in regards to the "required" sound character of these type of guitars but I'm pleased that this all fell well within the range of the client's request and I'm excited to do another with some slight modifications.